Water damages can occur through a variety of issues such as leaks, frozen pipes, burst pipes, and overflowing sinks. It can cause structural damage, destroy belongings, and even create secondary problems such as mold and fungi growth infestation. Making a call to our team at 911 Restoration of Seattle is a crucial step in restoring your property as soon as you discover the issue. The sooner you call us, the better your chances on minimizing the damages. From water damage restoration, mold removal, to fire and smoke damage restoration, our IICRC certified technicians will leave your property, looking better than new. You can count on us to arrive within 45 minutes of your emergency ready to get you back to a Fresh Start. We provide free visual inspections for property owners to assess the scope of the damage to your property. The team will determine the source of your water damage, assess whether mold removal is needed, and create a plan of action for your emergency restoration. With us, you can count on working with a team that cares about and understands your needs while providing you with peace of mind. That’s just a small part of our Fresh Start guarantee. Call us today to get started. 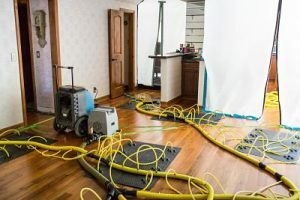 Without a coordinated plan of action, fixing your water damage can be complicated, stressful, and more trouble than the initial water damage was. That’s why we work with you from day one to determine exactly what is needed to fix your water damage and the steps to take. Our technicians use state of the art equipment and the latest techniques for your water damage restoration. As soon as you are aware of water damage, call the crew at 911 Restoration of Seattle so we can handle your water damage restoration immediately to prevent the need for mold removal or other services. Get your Fresh Start today. A sewage backup is the most hazardous form of property damage a property owner can face. Due to the raw waste mixed in with the water, sewage is classified as a Class 3 hazardous material. As a result, this should only be handled and disposed of, by trained professionals like our certified team at 911 Restoration of Seattle. To protect ourselves during the sewage cleanup process, we use hazmat gear. Our cleanup process involves using advanced extraction and drying equipment combined with a double layer of industrial grade detergents to thoroughly sanitize the area. With sewage, your health is on the line which is why nothing but the best will do for your sewage cleanup. In addition to the sewage itself, we also address water damage concerns that would cause the growth of mold and fungi. Because sewage is filled with bacteria and other horrid pathogens, it can become the perfect breeding ground for fungus. As a result, you may need supplementary mold remediation services, if your sewage cleanup is not addressed promptly. We guarantee to remove all odors and contamination along with damage repair. If you have a sewage backup call 911 Restoration of Seattle for your Fresh Start today! When it comes to disaster restoration, you need a team of professionals that not only get the job done but are there for you during troubling times. Our goal during disaster restoration is to make the process as smooth as possible. By combining our expertise with our customer-first mentality, we are confident in accomplishing our goal. We offer unmatched accessibility and guidance throughout the entire process. When it comes time to work on your insurance claim, we will take you through the process so you can file everything correctly the first time. We will even file the claim on your behalf if you choose to have us do so. No matter what makes up your disaster restoration, you can relax knowing we have you covered. Whether you’re suffering from water damage, fire damage or any other disaster damage, we’ll keep you in good hands. Get your Fresh Start with the team at 911 Restoration of Seattle today. Lastly, fire also paves the way for the third level of damage. It takes water or water-based solutions to put a fire out. Unfortunately, water doesn’t just disappear, which is why we also offer water damage restoration services as needed while fixing your fire damage. We work quickly to extract the water left behind so that you don’t run the risk of needing mold removal services as well. If you’re in need of fire damage restoration, don’t wait to call the technicians at 911 Restoration of Seattle and we’ll get started right away. Let us deliver your Fresh Start today. For the best results with mold removal, we offer same day services. The longer mold has to grow, the more it spreads and eats away at your organic materials. 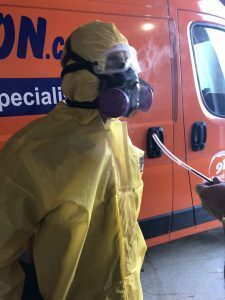 The faster your mold remediation is done, the quicker you can eliminate the risk of health problems stemming from the mold infestation. Water is required to help foster mold growth, which is why part of our mold removal services include removing all water sources that contribute to mold growth. The longer you wait, the more risk you bring to your property and your health. If you feel like your health is already at risk, we offer mold testing services while we handle your mold removal. Mold testing allows us to determine if the mold was toxic or regular mold thereby giving you peace of mind with your health. As soon as you suspect mold, call the technicians at 911 Restoration of Seattle and we’ll be there within 45 minutes of your call. Everyone deserves a Fresh Start they can count on, which is what we guarantee our customers. Call now for quality mold removal service from our IICRC certified technicians.